On very few occasions does the the advancement of technology lead to strides in simplicity. But along with apple’s 200+ updates and features, which comprise the new iOS 5 format, iCloud is light years beyond its time. Cloud storage is essentially an online network that stores information on virtual pools of storage and are usually hosted by third person parties, such as Apple. Apple’s version, aptly dubbed ‘iCloud,’ has been anticipated for its months of development, leading up to its recent introduction. This feature allows information such as data, photos, contacts and apps to be shared between all iOS devices. For instance, when a picture is taken with an iPhone, iCloud allows this photo to be stored on all similar devices, running with iOS 5 simultaneously. With virtually no effort, it is now possible to store all Apple content on all Apple devices. “I think that it is a great innovation that apple has made for its products. It’s easy to use and allows you to basically share allow of your files between any of your apple devices whether it be an iPhone, iPad or iMac,” said Matt Noll, pleased with the capabilities of the new program. 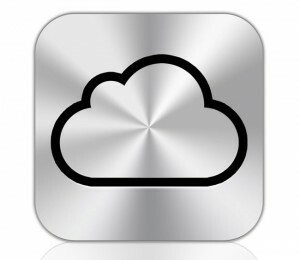 Although there are various ‘cloud’ formats which rival apple’s take on the concept, none offer the effectiveness and simplicity associated with iCloud. Apple has hyped their cloud service up for almost a year now and after boasting its capabilities while still in development, only 10.96 percent of users believe it to be what they had anticipated. The majority of folks are still blown away with the smooth, clean operation of the addition to apple’s futuristic arsenal.